Advocates for temporary foreign workers in Quebec say the furor over the outsourcing of Canadian jobs by several major banks could lead to even fewer rights for the most vulnerable people in the workforce. Amy Darwish of Montreal's Immigrant Workers' Centre says a lack of regulation means the agencies that recruit foreign workers can force them to work under the table for long hours, at rates below minimum wage and without access to workers' compensation benefits. Mohammed Ali Ben Dellej may be forced to return to Tunisia, after the fast-food chain that hired him failed to renew his temporary work visa on time. She said many find themselves in a precarious situation, through no fault of their own. Such is the case for Mohammed Ali Ben Dellej, who came to Canada from Tunisia as a temporary foreign worker about a year ago, recruited by a major fast-food chain. After a year, his work permit needed to be renewed, but his employer didn't get the paperwork in on time. Without that permit, Ben Dellej can't work, so he has been unemployed since April. He now has 90 days to find a new job or be deported to Tunisia. "I tried to contact many lawyers, but really most of them, they can't help me," Ben Dellej said. Ben Dellej is in a kind of Catch-22. 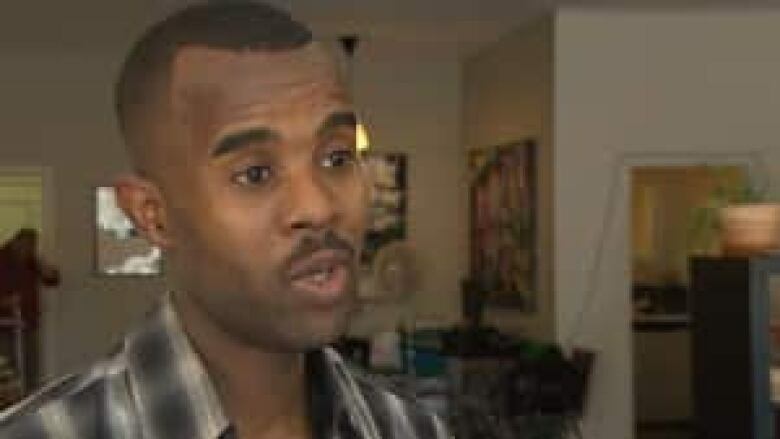 He has received calls from employers who want to hire him, but when they hear he needs a work permit — process that can take weeks or even months — they usually cancel his job interview. Darwish said the Tunisian man's story is not uncommon. "Your permit designates one single employer, and therefore your capacity to stay in the country is very much tied to your capacity to hold down your job," she said. "This often puts workers in a very precarious situation." "They are very much navigating in a total regulatory void," said Darwish. "We're demanding an operating permit, complete with addresses, contact information as well as the names of business owners, so agencies can't close down from one day to the next without paying their workers."